While there are many emerging superstars springing up in the National Football League, the cornerback Marcus Peters happens to be one of them. The talented cornerback has done a great job after he was chosen by the Kansas City Chiefs via the 2015 draft. He is currently associated with the Los Angeles Rams which he joined since 2018. Interestingly, Marcus Peters came from a lineage of stars; since the inception of his career in 2015, he has been named to the Pro Bowl twice. He led the league in interceptions and was named the Defensive Rookie of the Year in 2015. Learn more about his bio and relationship with Marshawn Lynch below. Marcus Peters was born on the 9th day of January 1993 in Oakland City of California in the United States. He was born to Afro-American parents Michael Peters and his wife. He came from a lineage of football stars; his father is a former football player as well as the current coach of McClymonds High School football team. Marcus started playing football when he was very young and while at McClymonds High School, he featured as a utility player for the school team. At the time, he played both as a kicker, cornerback, and wide receiver. He won the MVP of the Oakland Athletic League after leading his team to maintain a 12 – 0 undefeated record. In addition to football, he also featured in track and field events. Soon after he finished his high school career, Marcus Peters enrolled at the University of Washington for his collegiate career. In his freshman year, the cornerback got a redshirt and coming back in 2012 he made 13 appearances with 44 tackles for the team. The following year, Marcus made a total of 55 tackles at the end of the season. The player faced lots of disciplinary issues which later got him dismissed from the team during his junior year. As a result of that, Marcus declared for the 2015 NFL draft. 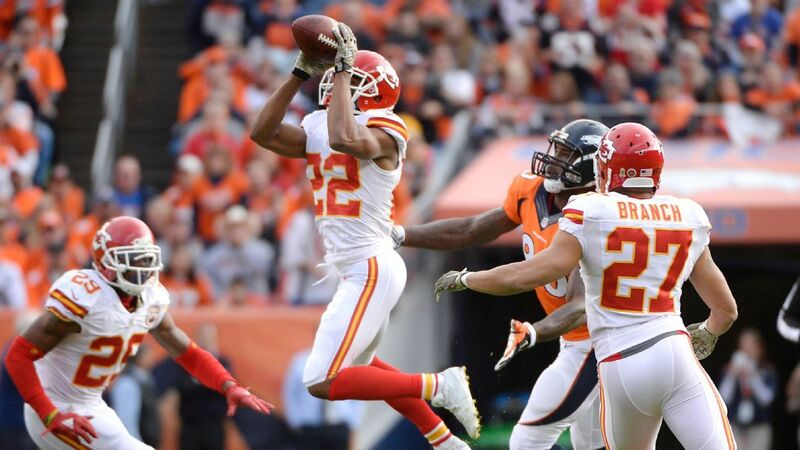 While the 2015 draft was ongoing, Marcus Peters was chosen by the Kansas City Chiefs as the 18th overall selection that year. Joining the Chiefs, Marcus made his professional debut on 13th September 2015 against the Houston Texans. During the game, the cornerback intercepted a pass from Texans’ Brian Hoyer. Throughout his rookie season, Marcus intercepted several passes from top quarterbacks including Peyton Manning, Derek Carr, and Teddy Bridgewater, among others. He got awarded with multiple honors as a rookie. In addition to his selection to the Pro Bowl, Marcus also emerged as the Defensive Rookie of the Year. He also led the league in interceptions with eight interceptions while making 60 combined tackles for the Chiefs. In 2016, Marcus was named to his second Pro Bowl as well as All-Pro first team. He finished the season as the 32nd best player in the league with his record of 45 combined tackles. The cornerback incurred a fine of $9,115 from the league management following unsportsmanlike conduct of hitting Derek Carr’s helmet in their loss against the Oakland Raiders in October 2017. That season, he was also flagged for a series of attitudinal issues and in the end, he made 46 combined tackles for his team. During the 2018 season, Marcus was traded to the Los Angeles Rams. The Rams took the fifth-year option on Peter’s contract and on joining the team, the cornerback made a huge impact on the team. At the end of the 2018 season, he made 3 interceptions and 43 combined tackles for the Rams. Is He Related To Marshawn Lynch? During the NFL regular season in 2017, Marcus hit Derek Carr on his helmet; thus causing a rift between the Oakland Raiders players and the Chiefs. However, Raiders star Marshawn Lynch who was on the bench quickly made his way into the field to save Marcus. The incident raised several eyebrows amongst their many fans and also made the relationship between these two players a thing of public interest. When asked about it, Marcus told the media that family comes first in everything. Just like we have earlier stated that Marcus Peters came from a lineage of football stars. It might interest you to know that the two are cousins. Meanwhile, the running back veteran Marshawn Lynch joined the Raiders in 2017 from Seattle Seahawks. He began his professional career in 2007 when he was picked by the Buffalo Bills in the first round of the 2007 NFL draft. The running back helped the Seattle Seahawks to clinch the SuperBowl XLVI championship in 2013. He is also a five-time Pro Bowler and a two-time league leader in rushing touchdowns. The highlights of his career include Buffalo Bills (2007 – 2010), Seattle Seahawks (2010 – 2015), and Oakland Raiders (2017 to present).